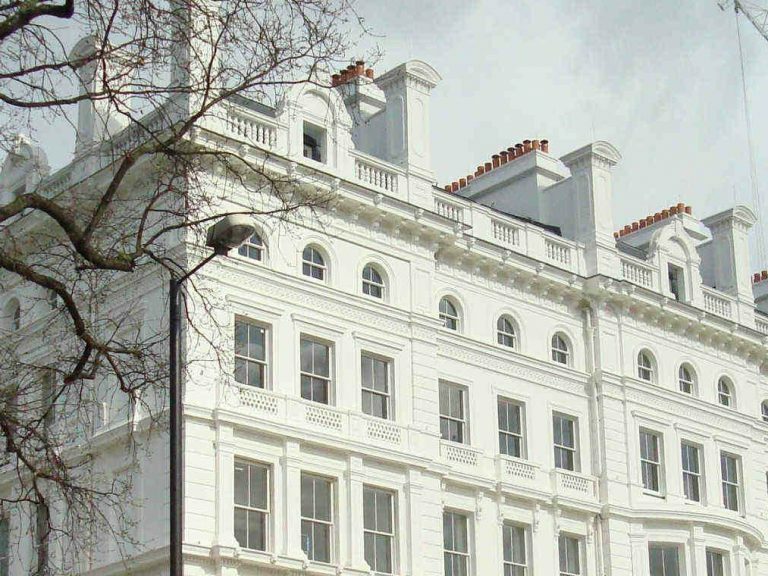 George Barnsdale undertook a three year project supplying and installing 800 timber windows and doors for one of the most exclusive residential developments in Central London – The Lancasters. 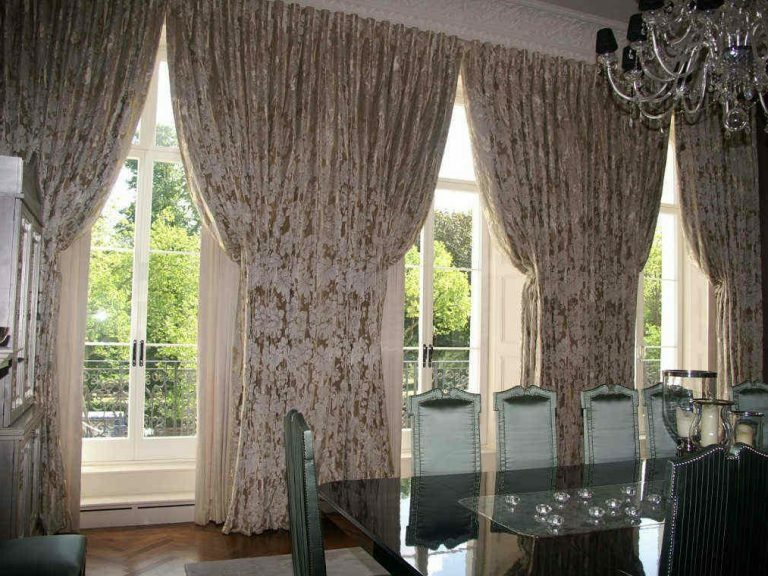 The majority of the 77 properties face south with views onto, or across, Hyde Park. Each home has been designed around the grandeur of the original architecture and interior features of the building, such as high ceilings, ornate cornicing and fireplaces. 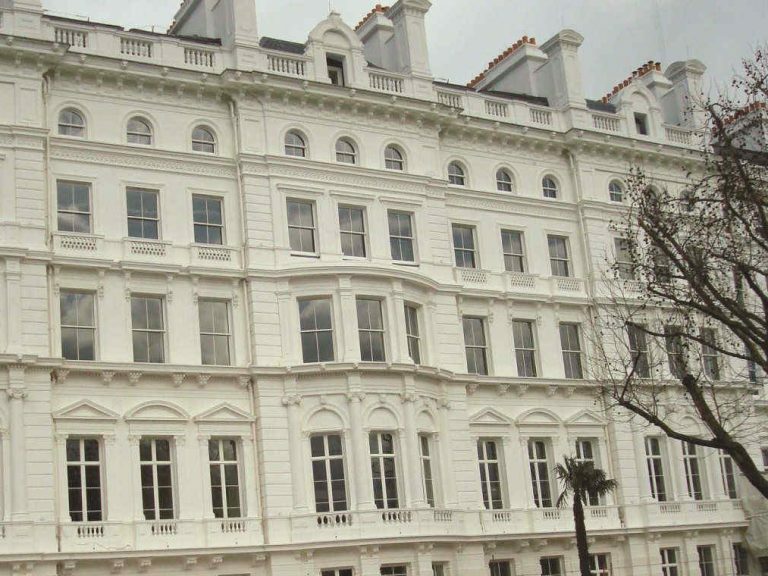 Grade II listed and made up of 15 stucco-fronted houses dating back to the 18th century, this large scale development presented some interesting challenges. 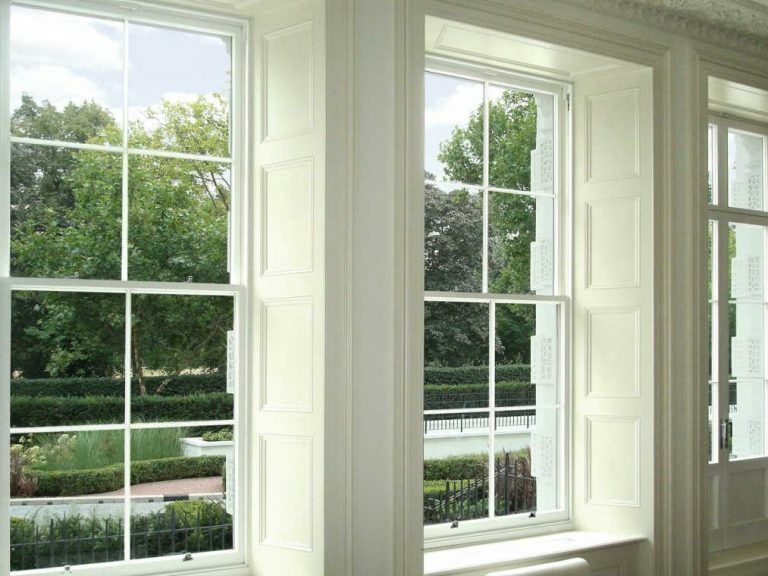 We manufactured a range of traditional timber box and tilt & slide sliding sash windows, inward opening doors and sliding doors, all made to measure and finished with our high quality white paint finish. 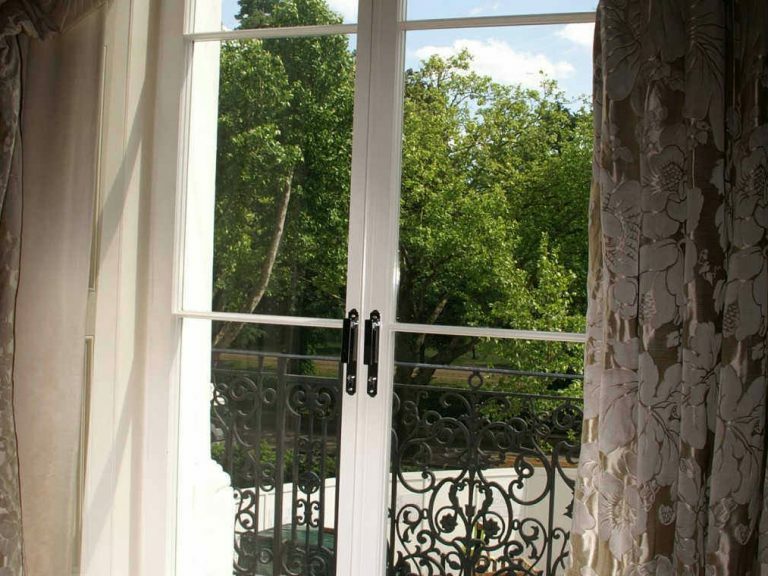 We liaised with architects to design timber doors and windows that would complement the period and French Renaissance style of the building. The project’s architects specified FSC “chain of custody” timber and as The Lancasters is a listed development we had to seriously consider the aesthetics of the wood as well as its performance, stability and natural durability. The door frames and windows were manufactured from Redwood WoodHeart®, an x-ray selected engineered timber. It is a similar species to the original timber used by the Victorians. We decided to use engineered Red Grandis Hardwood for the production of the doors as it is FSC “chain of custody” and has received third party testing by TRADA Technology Ltd, where it achieved great results for natural durability and resistance to fungi, which is very important for long term performance. 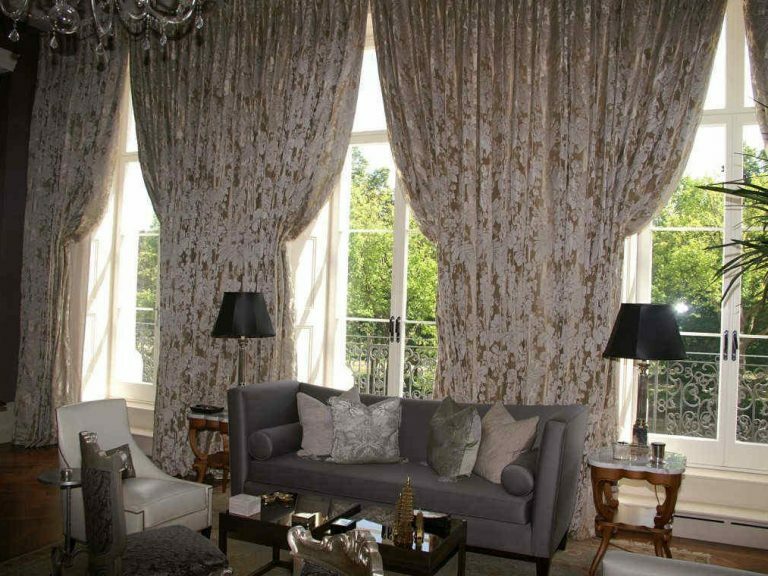 From an aesthetics point of view, we needed something that would look sympathetic to The Lancasters heritage. Red Grandis is a high quality, flawless, uniform timber that lends itself well to a variety of styles and shades and its consistent colour means wood stain can be applied to achieve the desired effect.